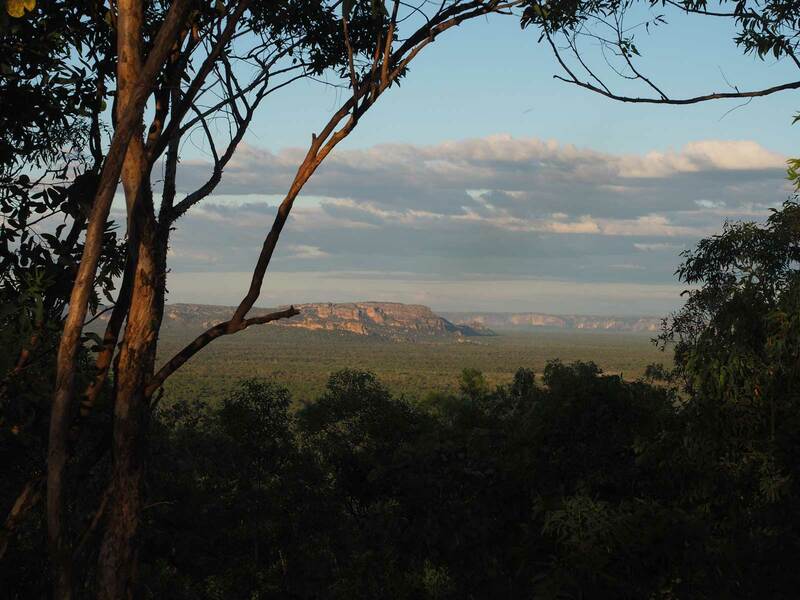 Kakadu is full of vantage points with beautiful views. Some area easy to get to while others require hours of walking but luckily Mirrai Lookout is somewhere in the middle. 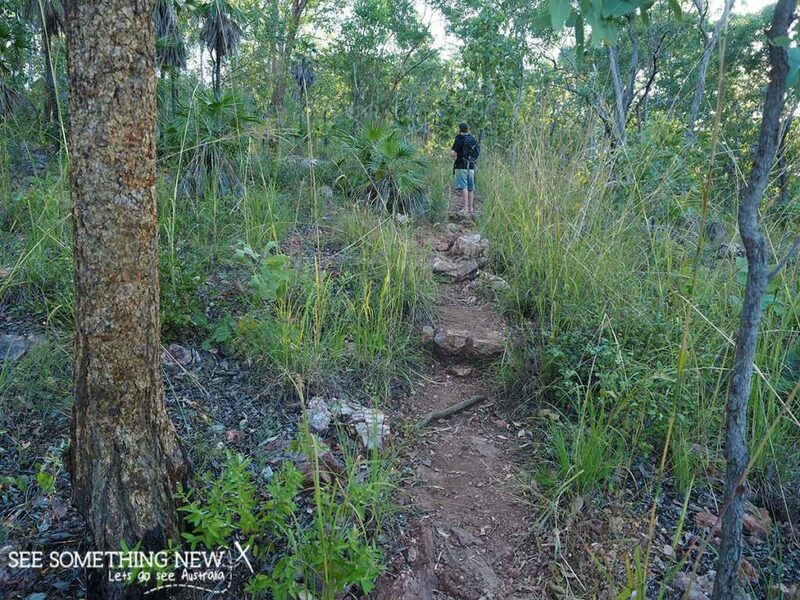 Getting There: Located on the Kakadu Hwy approximately 30km south of the Arnhem Hwy coming from Jabiru or 19km North of the Cooinda Lodge turnoff when entering the park from the South. Refer to the ‘Nourlangie Region’ in the Parks Australia visitors guide for map and walk information. 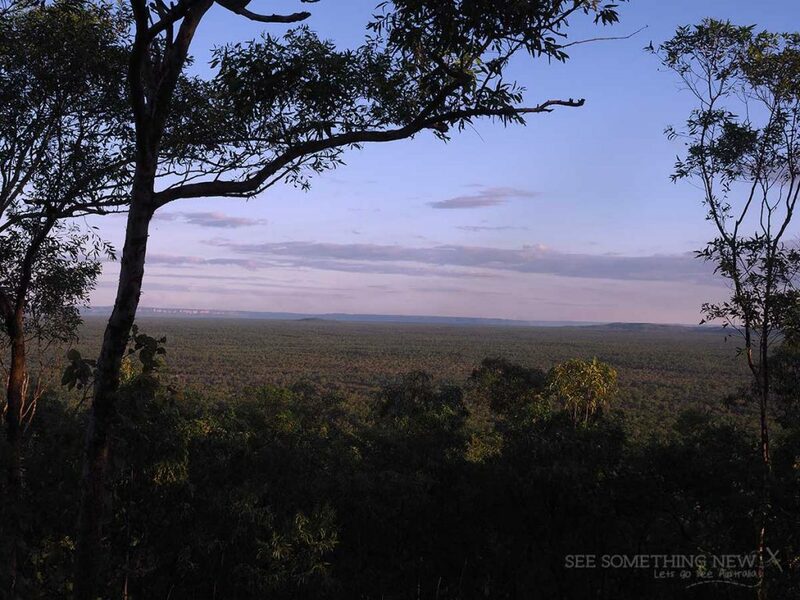 The track is just long enough and narrow enough to feel like a longer bushwalk and this underrated lookout has views to the North, South, East and West of the park. 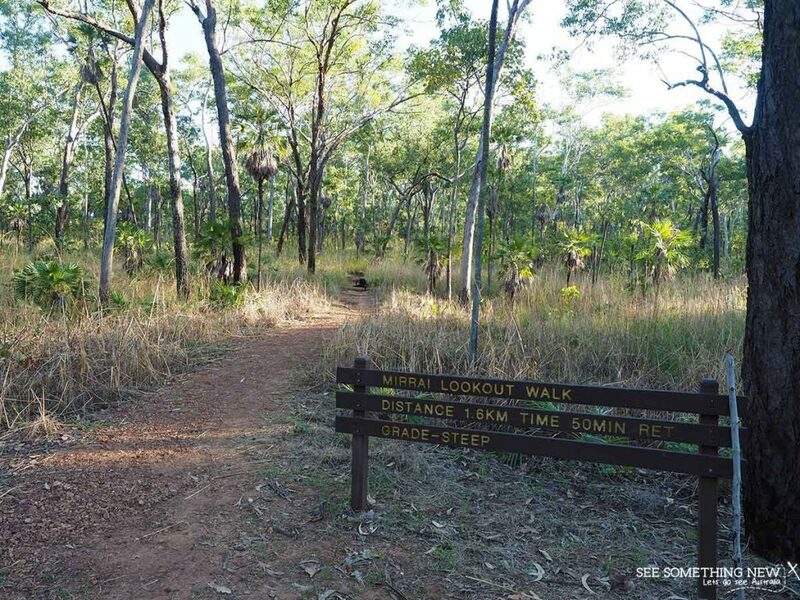 To get to the start of the Mirrai Lookout track you need to head along the Kakadu Hwy. The turnoff from the Kakadu Hwy is signposted and from you here you continue about 2km down the road to you arrive at the small carpark. The km return walk starts on the uphill side of the carpark and is graded as ‘Moderately Difficult’ by Parks Australia. The track clearing is mostly maintained but is nice and narrow so feels like your on a proper long bushwalk. 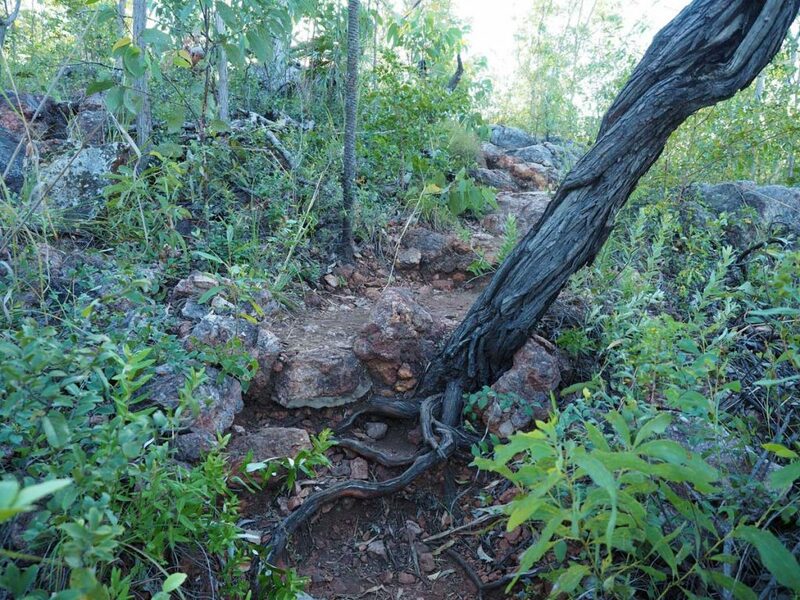 There are lots of uneven natural rocky steps throughout the walk. The track winds its way uphill for about 900 metres before you arrive at a tower. While the trees are overgrown in some places (it is a National park after all) there is a beautiful clear view in each direction of many of the parks different landscapes. The one downside of the lookout is at the time I visited the interpretive signs were rather worn out. You can view Nourlangie Rock, the Arhnem Escaprment, lookout towards jim jim falls and to the ancient landscapes in the South of the park. 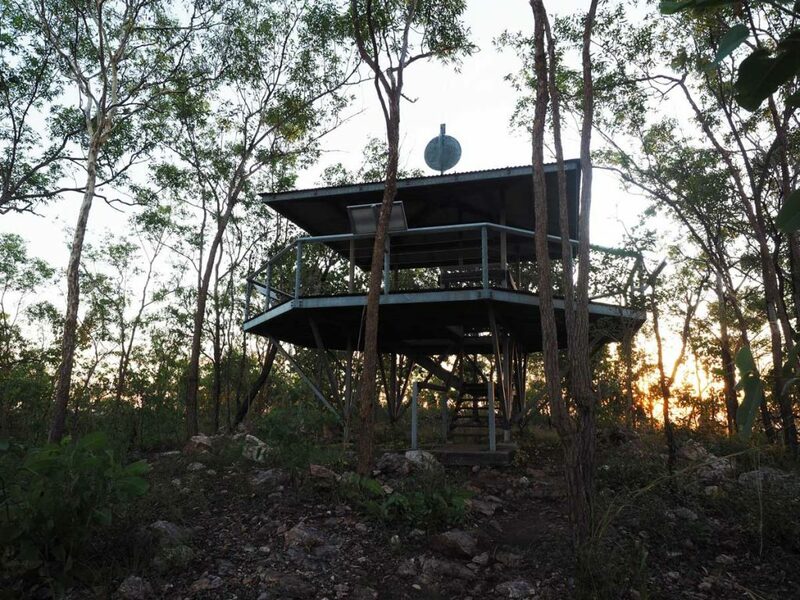 Mirrai Lookout is not the perfect vantage point for sunset but it is a cooler time of day to do the walk and the escapement changes colour under the afternoon light. The light drops quickly under the canopy of the trees so save enough time to get down before dark. Once you have enjoyed the views it’s time for the much easier walk back down the same path your climbed up.